Jazz and poetry seem to be two sides of the same coin. In fact, in many cases jazz and poetry come together - through content, allusion or musicality. This week I had the good fortune of seeing poet Robert Pinsky, pianist Laurence Hobgood and reedman Stan Strickland perform 'PoemJazz' at the Regattabar. Pinsky, former U.S. Poet Laureate, combines jazz and poetry seamlessly in the PoemJazz project, which gives the poet's speaking voice the same role as a horn in a jazz band. My favorite moment of the concert was when Pinsky recited a poem three times, and each came across differently due to the music and tone encompassing the performance. Inspired by PoemJazz, I wanted to share some poems that encapsulate jazz - either through text or musicality. To learn more, read NPR's 5 Points Where Poetry Meets Jazz. 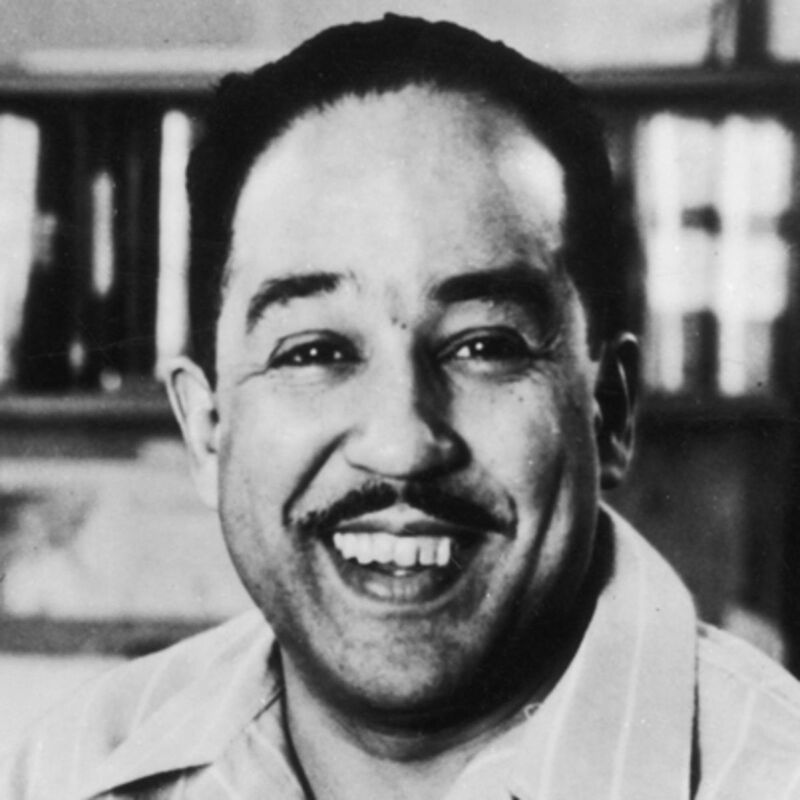 Langston Hughes was known as one of the most prominent and influential figures of the Harlem Renaissance, a rebirth movement of African American art during the 1920s. A deceptively simple poem, Hughes manages to touch on an entire culture within this poem. In fact, "Motto" was published in Hughes' Montage of a Dream Deferred, a book-length poem suite focusing on descriptions of Harlem. Words such cool, dig, and jive develop the speaking voice of "Motto," which speaks to the times, much like Hughes' famous "Harlem." In fact, Hughes' motto is to treat people with kindness in order for it to be reciprocated: "dig and be dug in return." Another simple poem, the power of "We Real Cool" lies in its tone. Read "We Real Cool" aloud. The repetition of "we" gives a sense that the character is speaking on behalf of an entire generation of kids that "left school" and "lurk late." The poem comes alive in the following video from the Favorite Poem Project. Ted Joans was an American poet, musician and painter. Joans' work intersects many art forms, and his poetry was heavily influenced by jazz rhythms. In fact, Joans coined the phrase “Bird Lives!” after Charlie Parker’s death. This particular poem speaks of jazz as not only a sort of religion, but as a sense of pride. Joans is known for his motto: "Jazz is my religion, and Surrealism is my point of view." Hughes' "The Weary Blues" tells the story of a pianist playing the blues in a bar. The speaker vividly guides us through the music using words such as, "drowsy," "rocking," and "sway." By describing the music, the reader realizes that the pianist is not only playing the blues - he is living the blues. Poet Frank O'Hara was influenced by abstract expressionism and surrealism. These schools of thought blend into O'Hara's poems, creating an immediacy of tone that reads as a diary entry. "The Day Lady Died" is in fact an elegy for the jazz vocalist Billie Holiday. Going through mundane details of his day, O'Hara ends the poem with a flashback to when he saw Billie Holiday at the Five Spot. The influence of seeing PoemJazz in 2014, with Robert Pinsky and pianist Vijay Iyer, inspired me to write a poem everyday on Without a Poem. After over a year, I still am on a quest to 'improvise' my poems.